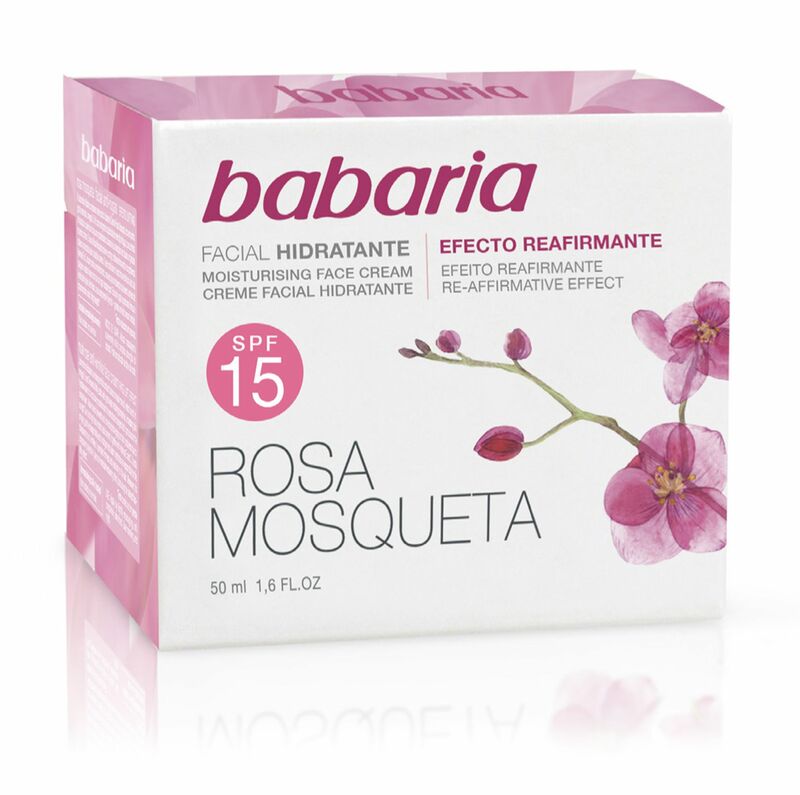 Babaria have made your daily skin care regime even easier with this new all in one facial cream containing Rosehip Oil. 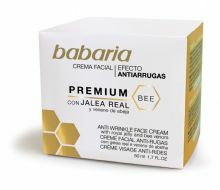 This one cream can be used all over the face, neck and decolletage area and is a must for those who care about their skin but are short on time. With the optimum combination of active ingredients, this 4 Effects Anti Age Cream contains a remarkable synthesis of collagen and elastin, elements which are present in significant amounts in young skin but which depreciate with age. Research has shown Rosehip Oil to have remarkable results when applied to sun damaged skin and expression lines as well as old acne scars.With its antioxidant power it helps to prevent further cell damage. Rosehip Oil helps to rejuvenate and renew mature skin, providing a more youthful and glowing appearance. 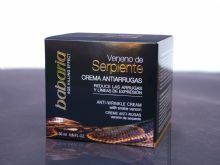 • Keeps skin firm and young looking. • Rich in omega 3, 6 and 9 essential fatty acids, which have superb water retaining properties, thereby increasing the skins hydration. • Use twice daily for maximum results on clean skin. INGREDIENTS: Aqua (Water), Rosa Moschata Seed Oil (Aceite Rosehip Oil 5%), Pentylene Glycol, Stearyl Alcohol, Glycerin, Cyclopentasiloxane, Butyrospermum Parkii Butter, Prunus Amygdalus Dulcis Oil, Cetyl Alcohol, Ceteareth-12, Ceteareth-20, Octyldodecanol, C12-15 Alkyl Benzoate, Dimethylmethoxy Chromanol, Dimethiconol, Tocopheryl Acetate, Parfum (Fragrance), Pectin, Arginine, Proline, Carrageenan (Chondrus Crispus), Serine, Glucose, BHT, Tetrasodium EDTA, Xanthan Gum, Hydrolyzed Vegetable Protein, Phenoxyethanol, Caprylyl Glycol, Citric Acid, Ethylhexylglycerin, Sodium Carbomer, Butylene Glycol, Hexyl Cinnamal, Butylphenyl Methylpropional, Benzyl Salicylate, Alpha-Isomethyl lonone, Eugenol, Linalool, Citronellol.